Stainless Wire Rails Want help? You've got it! http://gateslosangeles.com/free-estimate.html These stainless wire rails? Are they for everybody? Certainly not. Gates Los Angeles is a division of Mulholland Security Centers, Inc. We have been in the security business for over 19 years and have fabricated and installed security gates for hundreds of Southland families and businesses. Many large co-operations, gated communities, management companies and neighborhoods rely on Mulholland’s expertise and education in the security arena. Mulholland is a security company that has earned a sterling reputation for quality work. Our tradition is one of excellence. We have a A+ Better Business Bureau rating and have won every Angies List Superior Service Award for as long as the company has been in existence. Our Automatic Gate Fabrication, Installation and Repair Company in Studio City California is made up of a dedicated individuals who are routinely produce gates that exceed the expectations of our customers. We are the longest running and most respected gate service in Southern California. Our reputation has been developed over 17 years of quality driveway gate service. Lots of people are interested in driveway gates and fences because they want to add curb appeal to their homes. Others were looking for added security and safety. It does not matter why, whatever your reason, our fence/gate contractors can make your vision become true. If you are looking for a reputable, driveway gate company that sets and achieves high standards; then look no further. At Gates Los Angeles Automatic Gate Repair Company we have designers and experienced iron, wood and stainless steel craftsmen who make gates and fences that are functioning pieces of art. 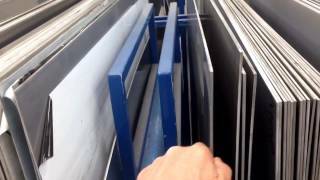 You will get all the help you need to design your own custom made gate. You might want a swinging gate or, possibly, a sliding gate. 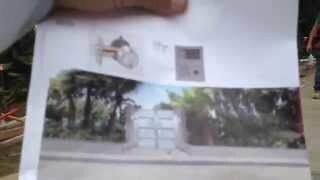 Our Driveway Gates Service repairs and installs all the different types of gates and gate openers. We offer a Gate Repair & Install Service better than any other in Southern California. As a customer service oriented driveway gate company we know how vital a quality repair and installation is to our clients. We understand that our typical Southern California resident wants to know they can get gate repair service at any time they might need it. Our emergency gate repair service is on call twenty four/seven. You can’t predict when you will need driveway gate repair. We can repair or install every individual part of a gate or fence and when it comes to costs; our price will be very good. We also have an excellent intercom Installation Service. Having intercom and phone systems mounted on the gates brings a significant increase in your family security and safety measures. 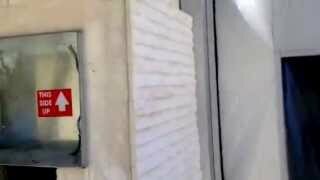 We install a telephone entry systems and keypad telephone entry systems for both residential and commercial projects. The rationale of having a intercom service on your gate is to be able to easily identify those who want to enter your property. You don’t want people getting all the way to your door before you can identify them! Our keypad systems can be set up to require people to enter a code for entrance. We also offer voice identification or visual identification systems. There are many options for driveway gates and our Automatic Gate Repair Company experts will be more than happy to walk you through the possibilities and the process step by step. If you have never visually experienced a wrought iron fence or gate then your eyes are missing out on something unique and appealing. Iron Framed Wood Gate Los Angeles Provides Security Privacy http://gateslosangeles.com/gates-and-fences/wood-gates.html You see here a classic design implemented in a gate installation in Los Angeles. This iron framed wood gate will last for years and remain beautiful with periodic maintenance. Gates Los Angeles is a division of Mulholland Security Centers, Inc. We have been in the security business for over 20 years and have fabricated and installed security gates for hundreds of Southland families and businesses. We now have offices in North Hollywood and in Malibu. Many large co-operations, gated communities, management companies and neighborhoods rely on Mulholland's expertise and education in the security arena. Mulholland is a security company that has earned a sterling reputation for quality work. Our tradition is one of excellence. Our Automatic Gate Fabrication, Installation and Repair Company is made up of a dedicated individuals who are routinely produce gates that exceed the expectations of our customers. We are the longest running and most respected gate service in Southern California. Our reputation has been developed years of quality driveway gate service. 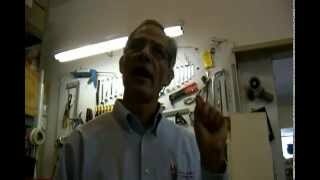 You can't predict when you will need driveway gate repair. You don't want people getting all the way to your door before you can identify them! Wood beach gate. Mulholland security. It's a gate that was done next to the beach by a vendor who simply did a good job making this gate. Contemporary Design Stainless Gate http://gateslosangeles.com/gates-and-fences/stainless-steel-gates.html Raised panels in this stainless gate create a very clean and contemporary look. 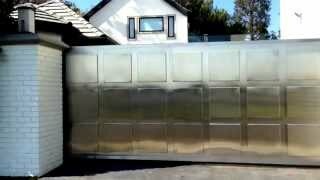 Stainless Steel Residential Gate - San Diego Video 1 http://gateslosangeles.com Mulholland Security Gates We design, engineer, fabricate and install stainless steel gates and fences throughout S. Cal. This is being installed in San Diego, less than a mile away from the beach. The anti corrosion characteristics make it ideal for beach environments. Our installations are systems with all modern "extras" including intercom, remote access, cameras, etc. 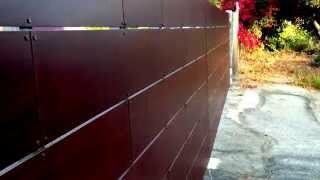 Mulholland Security's Gates Los Angeles Pacific Palisades Gate Installation. Pacific Palisades Gate Installation Increases Security and Privacy This beautiful wooden gate installation in the Pacific Palisades Beach area in Southern California looks beautiful, is strong and sturdy, has all the necessary accessories (such as intercom, wireless access, security lighting and cameras) and will protect this family for a long time with minimal requirements for occasional maintenance. This aluminum door is part of an aluminum and glass fence and gate system we recently installed at the beach. Aluminum prevents corrosion if given occasional simple maintenance. Glass can get dirty, but doesn't corrode. Sand can etch glass, but, typically our beach installations have opaque or etched glass to begin with so, the appearance of the game does not deteriorate. Mulholland security sliding Tandom gate. Mulholland Security / GATES / TITO Get a good explaination of how wood need to go on a wood . Cabinetry Ideas Applied to Contemporary Gate Making There's so many things that can be done with wood. As we were dining out recently, I noticed this yet-unfinished wood cabinet in the building. You'll see that it has a clean contemporary look. The material for this project would not have been hugely expensive when compared to other materials, definitely at the least expensive end of the spectrum. We could easily take many of the same design ideas and incorporate them into a gate project that would look beautiful and would be very expensive. http://gateslosangeles.com 1-800-562-5770 Gates Los Angeles is a division of Mulholland Security Centers, Inc. We have been in the security business for over 20 years and have fabricated and installed security gates for hundreds of Southland families and businesses. We now have offices in North Hollywood and in Malibu.